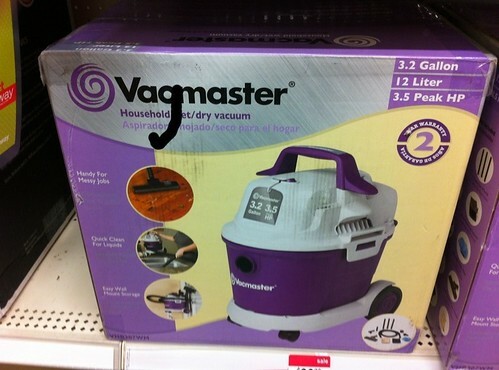 That guy I somehow married and I were walking around an unnamed store today when I saw a vacuum called the "Vacmaster." As I have the mind of a 10 year old boy I wanted to deface it. But since I'm a "grown up" I just took a picture of it and doodled over it. Because I'm responsible. How do you "somehow" marry a guy? Oh, you know. We tricked each other into marrying each other. It was a win for us both.